What distinguishes good explanations in neuroscience from bad? Carl F. Craver constructs and defends standards for evaluating neuroscientific explanations that are grounded in a systematic view of what neuroscientific explanations are: descriptions of multilevel mechanisms. In developing this approach, he draws on a wide range of examples in the history of neuroscience (e.g. Hodgkin and Huxleys model of the action potential and LTP as a putative explanation fordifferent kinds of memory), as well as recent philosophical work on the nature of scientific explanation. 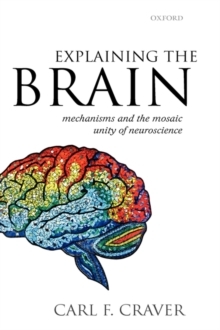 Readers in neuroscience, psychology, the philosophy of mind, and the philosophy of science will find much to provoke and stimulate them in this book.